1) Hi Alice and welcome to Alba in Bookland. First, can you tell us a bit about yourself? Hi Alba, thank you so much for having me! I’m a writer and journalist. After 16 years working for the BBC, I’m very lucky to be able to write full time now. I live in a tiny Victorian house full of books in the Surrey countryside with my husband and dog. 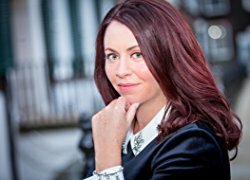 My debut thriller, Sometimes I Lie, is being published around the world this year and I’m thrilled to bits about that – it really is a dream come true! 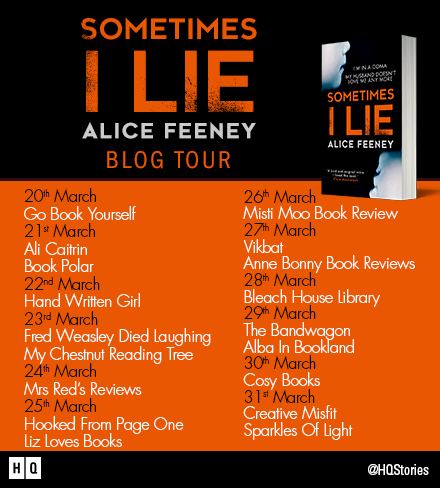 2) Sometimes I Lie is your debut novel and the first reviews are saying that it is not only a very compelling story but also very twisted and dark, where did your inspiration for it come from? I’m really rather fond of a good twist as a reader, so as a writer that was something that I was really hoping to achieve. Everything I write does tend to be quite dark, but I promise I’m quite a happy person in real life! The world we live in can be a very dark place indeed at times, and so I think it’s not a bad thing if some fiction reflects that. 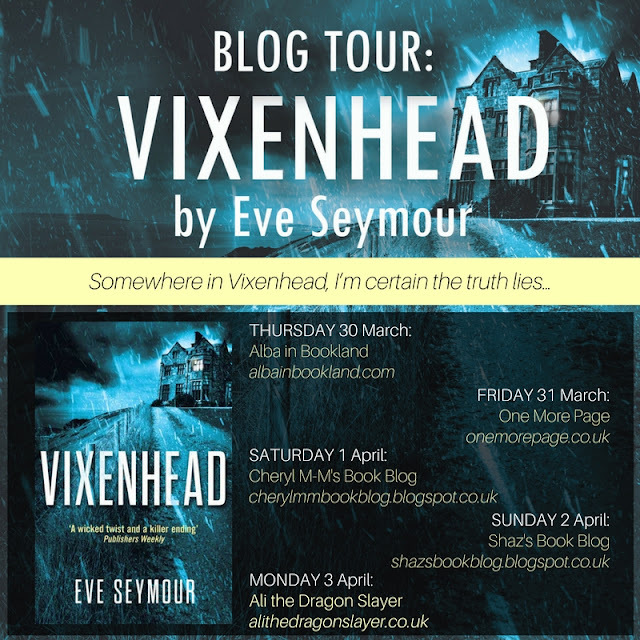 3) What difficulties did you face getting inside Amber Reynolds' head to tell her story? I think it works the other way round for me. I let them inside my head while I’m writing, which might sound strange, but it’s the only way I know how to do it. You have to let the characters in, and then you have to go inside the book, it’s like an obsession. When I’m writing I think about the characters constantly, what would they think, feel, say, do in any given situation that I find myself in. I was lucky enough to go to the audiobook recording a couple of weeks ago and it was such an amazing experience. The actress who narrated the book was the perfect Amber, she sounded just like the Amber inside my head. It was quite an emotional experience, hearing her being brought to life like that. It also felt like I was saying goodbye. 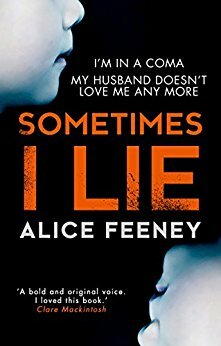 4) Sometimes I Lie has all the ingredients of the perfect Psychological Thriller: tense and fast-paced with an unreliable narrator. Could you tell our readers what else this book has that makes it stand apart from the crowd? Thank you, that’s very kind of you! I don’t think that’s really for me to say, I’ll leave that up to anyone kind enough to read the book. I will say that I’ve tried to write something that I would genuinely want to read – that was really important to me as a writer. And I hope that people who read Sometimes I Lie will enjoy the ride! 5) Finally, can you tell us what you’re working on now? I don’t like to talk about a book with anyone at all until it’s finished – I think it’s bad luck. But, I can tell you that the first draft of book two is written, which I’m delighted about. 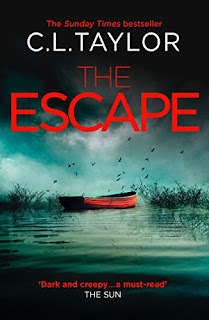 The next book is another dark and twisty tale and will be published by HarperCollins in the UK next year. I also have some very exciting news about Sometimes I Lie, which means I’ll be spending time working with Amber again in the not too distant future. But that’s still a secret for just a little bit longer! Thank you Alice for stopping by and answering all my questions. You can connect with Alice Feeney on twitter. Blurb: My name is Amber Reynolds. There are three things you should know about me. 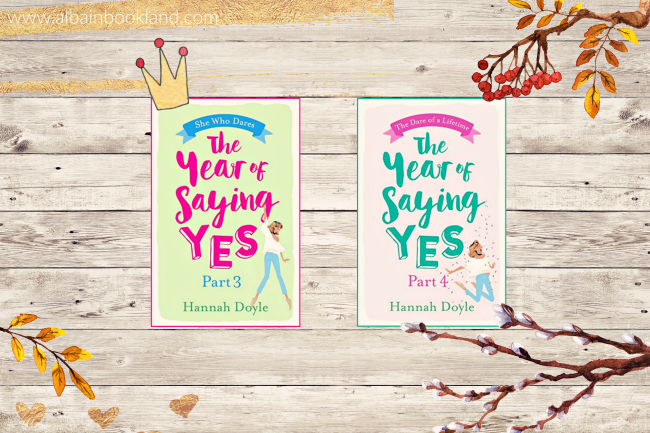 Blurb: THE YEAR OF SAYING YES by Hannah Doyle will make you dirty-laugh, feel warm and fuzzy, and rediscover life's magic - all thanks to one little word: yes. 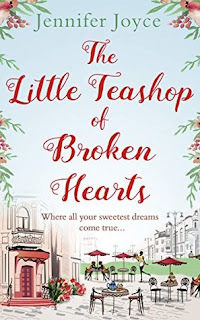 Fans of Mhairi McFarlane's WHO'S THAT GIRL, Sophie Kinsella's MY NOT SO PERFECT LIFE, Anna Bell's THE BUCKET LIST TO MEND A BROKEN HEART and Joanna Bolouri's THE LIST, you're in for a real treat. - I stood up for all of womankind - take that, cheating ex! 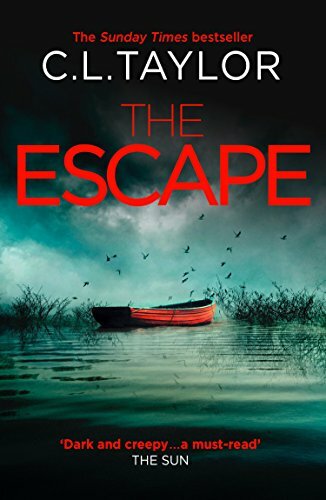 Review: Last month I reviewed the first two parts of this story, which I absolutely loved. I've finally had the time to read the last two parts (I read Part 3 and I was so engrossed with the story that I continued into Part 4 straight away) so I'm gonna review these last two parts together, as they were as good the first two. I have loved following Izzy around with her dares. I has been a real pleasure to see her grow and flourish as this better more confident version of herself. This story really reminds us how big a change we experience just saying yes more often. It certainly has inspired me to try new things! And not also that, I have laughed so much with this story. Izzy is a characters that I will not forget in a long while. She is far from perfect but she knows how to win your heart. I loved how honest she was in these last parts, not only with her readers but with herself too and I am so happy for everything she achieved. This is definitely a story that will put a smile in your face (more than once) and will inspire you to be bolder, stronger and more confident. With a really fresh and fun style, I felt like I really connected with this story. It was a fun touch to add hashtags to some moments (now that we leave surrounded by them) and I am already looking forward to more stories by Hannah Doyle. 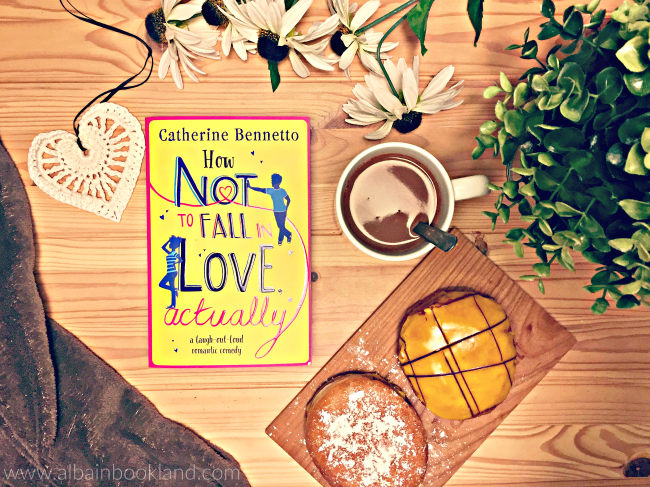 New Book Review for the hilarious How Not to Fall in Love Actually by Catherine Bennetto. 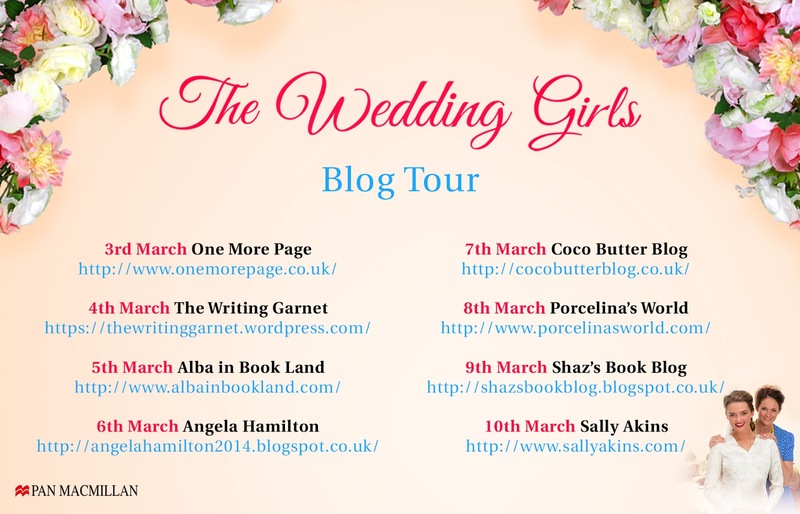 A hilarious debut for all fans of Mhairi McFarlane and Lisa Owens. Blurb: Emma has a job in television which is distinctly less glamourous and exciting than it sounds. She’s managed to claw her way up the ranks from Tea-Maker and Rubbish-Collector to 2nd Assistant Director (heavy on the ‘assistant’. Even heavier on the ‘2nd’). 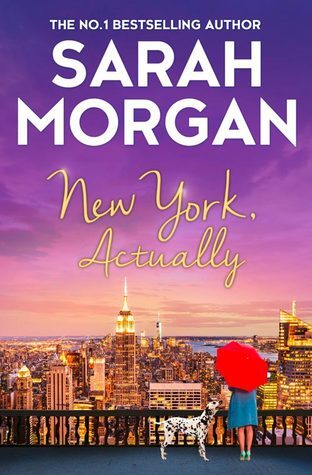 Review: First of all, let me say this: how funny is this book? Seriously, I had so much fun reading it! It's original, fresh and a little bit crazy, everything I love in a book. 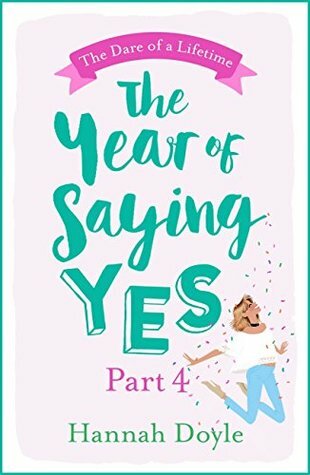 The story is all about Emma who has just found out about 3 life changing events: she no longer has a job, nor a boyfriend and she is pregnant. Throw into the mix an inherited cottage with a lovely but stalkerish neighbour and an accidental flatmate and you can start understanding why this story is SO. MUCH. FUN. Not only that, it also reminds us that sometimes we forget what's important in life and how precious it is to love and be loved. Just like Emma fell quite accidentally in love without even realising, I had the same feeling with this novel. I fell accidentally in love with it too. When I reached the last page of the book, I had to stop myself from going to the first page and start reading it again. I was not ready to let these characters who had slowly crawled into my life go. 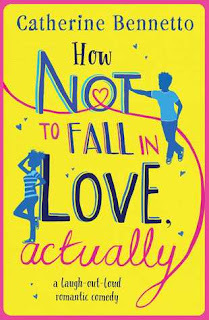 So if you are looking for a feel good, highly entertaining and original story, stop looking and pick a copy of How Not to Fall in Love Actually! Full of heart and unique characters, it's definitely the perfect cure for grey days. I'm already looking forward to whatever Catherine Bennetto has in store for us next. I'd like to thank the publisher for sending me a copy of this book. This is my honest opinion. Blurb: Maggie O'Hara knows better than most that life can change in a heartbeat. Eighteen years ago she was given the most precious gift- a second-hand heart, and a second chance at life. 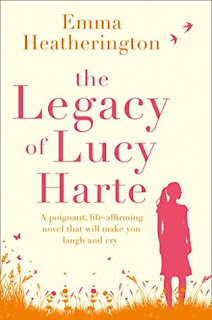 Review: The Legacy of Lucy Harte is a very special story, not only for the topic it handles but also for its characters. The topic is a very important one: organ donation. How the death of a person can help save the life of another. 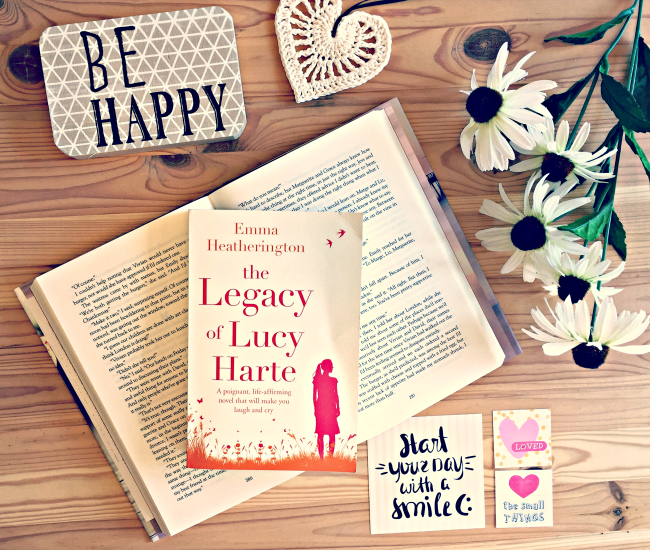 In this story, when Maggie was a teenager, she received the most precious gift from Lucy Harte: her heart. This heart has given her a life for the last 16 years, but it seems that Maggie has lost sight of what is really important in her life. But when she is contacted by Lucy's only living relative, her brother, she realises how she's been wasting this special gift. In the story, there's a bit of serendipity magic: just when Maggie's life is collapsing, she gets the help of Lucy again, guiding her to accomplish more, wish for more and go for it. I found it very interesting and touching, how the lives of these two characters connected and intertwined, you got to really know them both and care for them. And you could really get an energy from Lucy while reading about her. I could totally picture how Maggie must have felt reading about her. After Maggie met Lucy's brother, the story took some unexpected twists that left me wondering all the time what was going to happen next. It was a real pleasure to follow Maggie on her new adventures and I can truly say the this story, especially the ending, really touching my heart. It's one of those stories that not only touches you but also inspires you to enjoy life and don't get lost in the minor details and obstacles. It also raises awareness in a very important issue, that is organ donors. I think that the author handled this topic with care and respect and created a beautiful and compelling story and will leave no one indifferent. I'd like to thank the publishers for sending a copy of this book. This is my honest opinion. Blurb: Lime green plastic flower-shaped hair bobbles—Found, on the playing field, Derrywood Park, 2nd September. 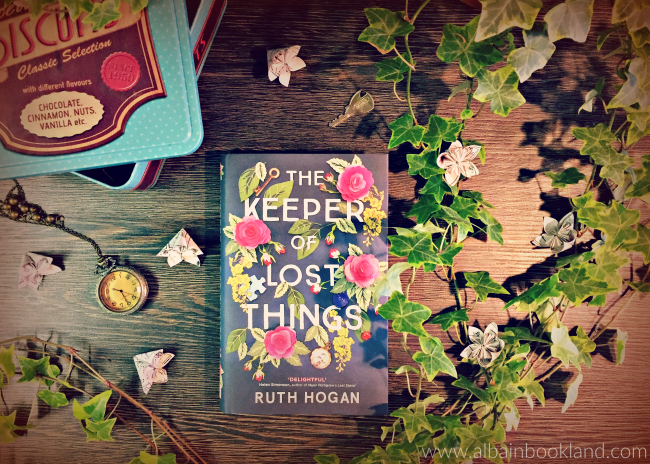 Review: The Keeper of Lost Things is like nothing that I've read in a long time. It tells the story of Anthony Peardew, who after losing the love of his life and a very special pendant that connected them both on the same day, started collecting and cataloguing everything he found lost. 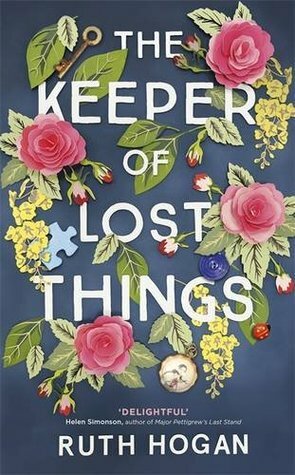 When he passes away, his assistant Laura is left with the huge task of returning these objects to its owners. She is not alone in this quest though, the girl from the neighboring house is eager to help, and soon the gardener takes an interest too. The story not only focuses on Laura and her mission but we also get to know a couple of characters who are somehow linked to Anthony's story. While reading both stories, I felt a bit like a detective, gathering clues that the author left for us readers to try to figure out what was keeping Anthony and her love apart, even after both had passed but also what these other characters had to do with this fact. During his life, Anthony also wrote short stories related to the objects he would find. Little by little we discover more and more of these stories and I have to say that they were a pleasure to read. Short but intense, with a bit of magic, each one made the object special and if Anthony Peardew was a real author, I would not doubt to get his short stories compilations. During the whole story there was an air of magic that really got to me. I really cared for Laura and both her helpers and after finishing this book, I kind of felt happier inside, if you know what I mean. This is a very special and insightful story that will surprise you and will make you believe in the most unexpected ways. A highly recommended read from me. Fliss is on the way to visit her grandmother in Wales - the grandmother who she doesn't get on with - with her mother who is recuperating from chemotherapy. 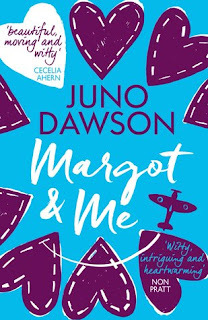 But her mum is getting better, that's the main thing, so Fliss can concentrate on being grouchy and not looking forward to meeting her grandmother Margot, who is so cold and always so unforgiving of Fliss's every mistake... 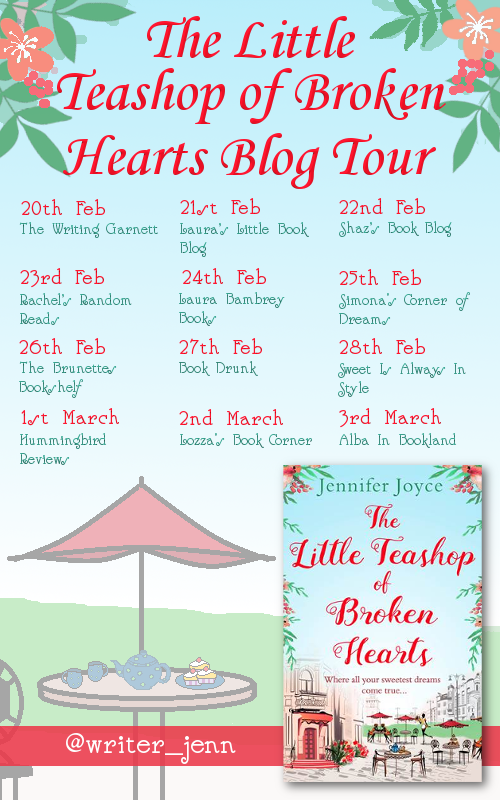 But when the six months is up, Fliss consoles herself, she and her mum will go back to London and back to Real Life! A brilliantly written love story from acclaimed teen writer Juno Dawson. Review: This is my first book by Juno Mawson and wow, what a beautiful and moving story. I'm pretty sure it won't be my last from this author. The story is told from Fliss' point of view, a teenager who moves to the countryside in Wales from London. Actually, Fliss and her mother, who is finally recuperating from a long illness, move into her grandma's farm. A place full of secrets and stories. As you can imagine Fliss is not happy with this move. Especially when she is not exactly welcomed in her new school. Fliss and her grandmother Margot's relationship is not the smoothest one either, it's like a battle of wills, both of them pushing but with no intention to give in. But from the moment Fliss finds Margot's diary from WWII, everything changes. The Margot from those pages is nothing like the Margot Fliss knows nowadays. 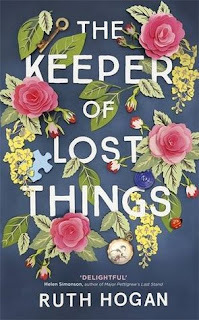 But as she uncovers stories that were supposed to be kept buried, their whole relationship starts to shift too. I have to admit that I was as fascinated as Fliss with Margot's story. What a badass and sassy young girl she was! I loved how sometimes you could still see her younger self in her, especially as we got to know her better. 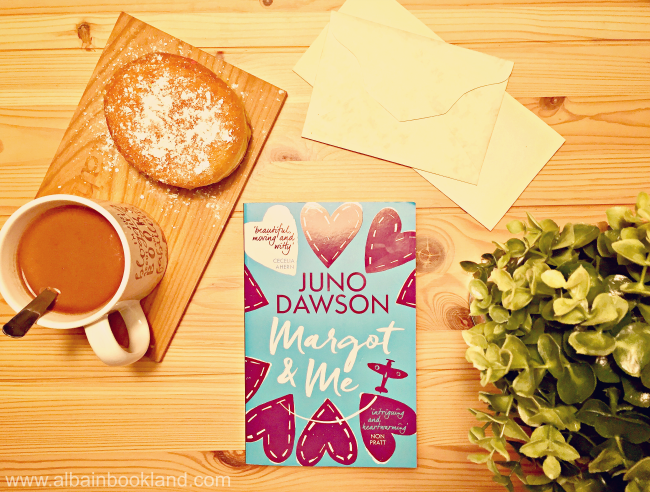 Margot and Me is one of those stories that makes you feel special, like the author is sharing a secret with you. It was definitely a pleasure for me to discover Margot and Fiss' stories and I would highly recommend this story to YA readers but also to historical fiction readers. Actually, scratch that. I highly recommend this story to everyone. I finished this story a couple of weeks ago already and I still find myself thinking about it constantly. Blurb: If a wedding marks the first day of the rest of your life, then the story starts with the dress. 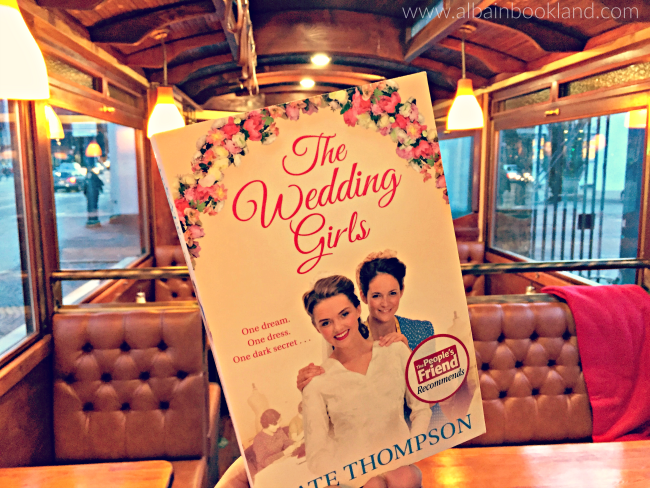 Review: This is Kate Thompson's third book and having read and loved her previous two, I knew what was waiting for me: a touching story, well researched with generous descriptions and historic details, and above all, full of heart. And Í'm glad to say that The Wedding Girls lived up to my expectations. This time, the author takes us to the East End a few year before WWII where three girls fight agains adversity with everything they've got. 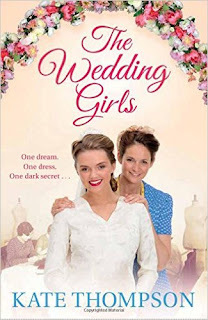 Known as the wedding girls, Kitty, Winnie and Stella are a very close trio of friends who all work in the wedding business. Their only goal is to make this day as special as possible for the bride and groom but their own lives are not exactly rose tinted. Each of them has its own problems, especially with their families. For example, Kitty's father is not himself anymore, with an illness that is robbing him of everything. And Winnie's family is being threathen again by her violent father. So as we got to know these girl, I couldn't help but care and root for them. The three of them were really insteresting and complex characters that I loved getting to know. While reading this story though, you soon realise that the East End and it close knitted community is a character on itself too. I could feel the camaredie in the community and how they all fought as one when circumstances required. Actually, with every book by Kate Thompson, I learn something new, about an era I didn't know as much. For example, The East End in 1936 was threaten by an increasing fascist movement that wanted to divide this welcoming and open community. And the author refelcted the tensions and difficulties perfectly. All in all, another winner by Kate Thompson. A book full of heart that reminds us how important it is to remember history in order to not make the same mistakes again, and how important friendship and working together is. Whenever I start plotting a new book, I always have my faithful baby names book on hand. 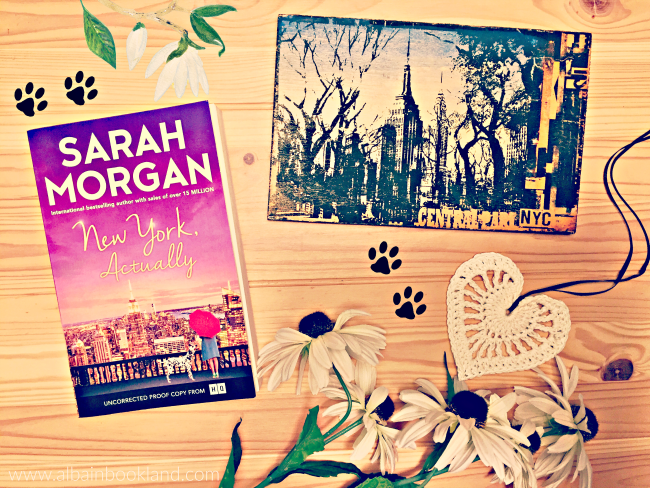 I bought the book years ago for 50p – and it’s certainly earned its money back since! It’s a little tatty now, but I can’t imagine not having it by my side to help with naming characters. 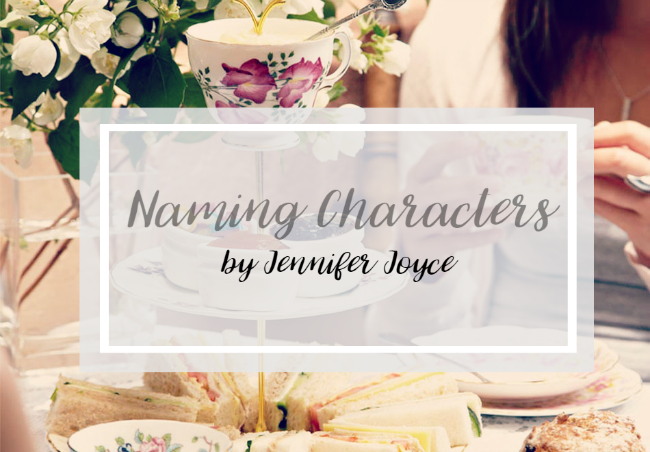 I use it in several ways: simply searching for the perfect name that suits my character, scouring the meanings for the ideal fit, or opening a random page and selecting a name from the list (I do this more often for minor characters). Other tools I use for naming characters are google searches of popular baby names for the year when the character was born, or keeping an eye out for names that catch my eye on the credits of film and TV shows. 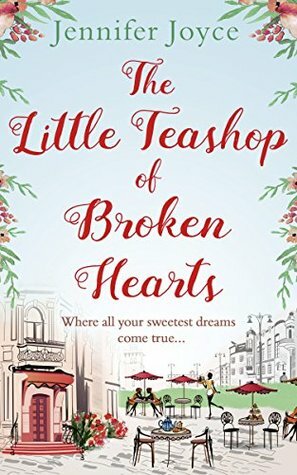 As you’d expect, naming the main characters of a book usually takes the longest to get right, but with The Little Teashop of Broken Hearts, naming the main characters was more straight forward. 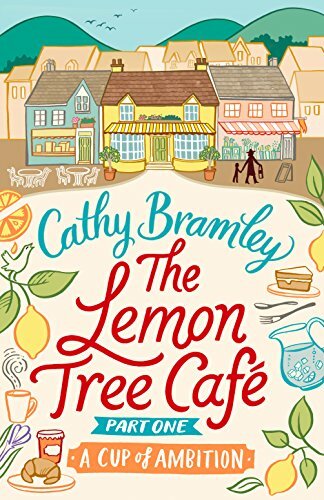 This time, I put my baby names book down and instead googled cake as I wanted to give my main character – plus her colleagues – names that would match their cake-filled teashop setting. This was not another excuse to research cake. Inspired by the cakes I found, I ended up with main character Maddie (full name Madeleine, after – you’ve guessed it – madeleines) and teashop colleagues Mags – short for Magdalena(s) and Victoria (of the sponge variety). 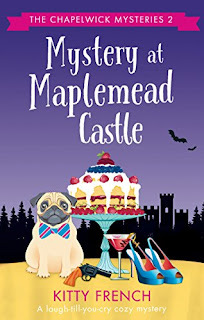 I briefly considered naming all characters inspired by cake, but I’d have soon run out of suitable options and I’m not sure ‘Battenberg’, ‘Fondant Fancy’ or ‘Birthday’ would have worked quite so well! 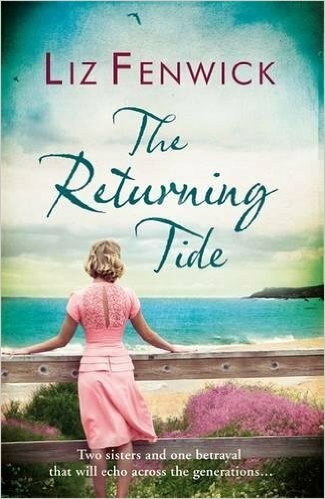 Blurb: A deliciously charming romance, perfect for fans of Caroline Roberts, Jane Linfoot and Debbie Johnson. 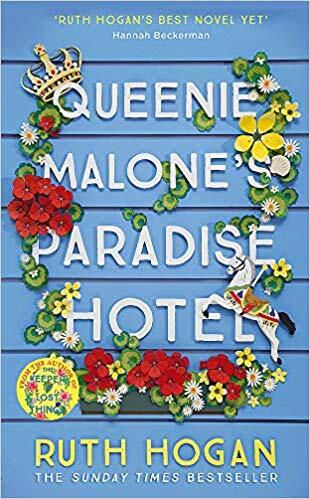 Why so excited: I have read and loved both of Kate Thompson's previous books and this one is shaping up to be a lovely read too. It's my current read and I'm really enjoying it. An utterly hilarious, gripping, spooktastic read for fans of HY Hanna, MC Beaton, Gina LaManna and Jana DeLeon. 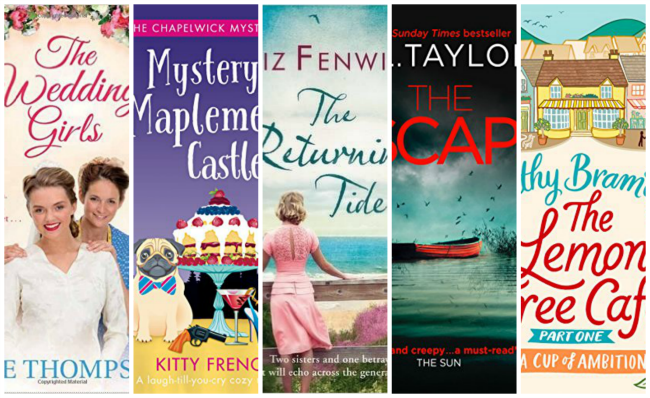 Why so excited: Liz Fenwick's stories are so compelling and evocative. I love getting lost in Cornwall with her books. Why so excited: C. L. Taylor is my go-to writer for tense and addictive psychological thrillers and I cannot wait to start this one. If you haven't discovered her stories yet, you are really missing out. Why so excited: I think you must know by now that I love Cathy Bramley's stories. So a new story by her is always highly anticipated. And how beautiful is that cover?